Today is a very special day for all of us at Anti Tribalism Movement, as we are very proud to celebrate our 9th anniversary. With that in mind, we thought we’d take a look at some of our major achievements in the last year. In partnership with SOAS University of London, we enabled 15 fellows to gain postgraduate diplomas in Law and Leadership. The fellows’ success did not stop there, with all now serving in various public positions within their communities. We launched a scheme aimed at Londoners who were interested in gaining leadership skills, bringing on 33 young people from across the city. Some of the attendees have gone on to secure opportunities such as work-experience for major firms, serving on local advisory boards and securing places on prestigious university summer-school initiatives, with two accessing a US based international exchange programme. We have also held over 80 successful reconciliation seminars to counter tribalism and prejudice as well as dispel prejudice, labelling, myth, misunderstanding and stereotypes. This has included inviting leading ministers, civil society and practitioners to speak to the community. We were very proud to receive an award from The Faith & Belief Community Awards in recognition of our work to inspire young people to be active citizens and change-makers in their own communities. Furthermore, we were recognized by London Youth for good practice in our Lead and Be Led Programme, specifically for our work developing young community leaders. We would like to express our thanks to all those who have supported us over the years. Through our monthly debating sessions this year we have engaged over 1,000 participants. In these sessions we have discussed a wide range of subjects, focusing on timely and relevant issues such as mental health. We have also enabled participants to share recommendations and solutions in order to overcome the challenges faced by their community. We have published eight Jawaab films, which were viewed by over 877k people on Facebook. The films aim to advocate for social issues and recognise inspiring stories that often go unnoticed, untold or unheard. Through these films we’ve been able to cover a range of subjects and stories, from people who have turned their lives around after prison, to the fight against FGMand the importance of public service. This year we were proud to sponsor the third annual International Somali Awards, a ceremony celebrating the world’s best and brightest Somali talent. The ceremony was broadcasted Live via Facebook where 200,000 people watched with eager anticipation of the attendees and winners’ results. This year, we delivered 15 workshops exploring issues such as tribalism, discrimination, racism and identity. The workshops were designed to use the passion, energy, drive, ability and power of community groups to counter tribalism, promote shared values and universal human rights, and become active citizens. Finally, it was great to see that our Managing Director, Adam Matan, was appointed the new Chair of the Independent resident-led Policing and Crime Commission. In addition to this, Adam was also recognised in the Queen’s New Year’s Honours List with an OBE for his service to the Somali community – both in the UK and abroad. 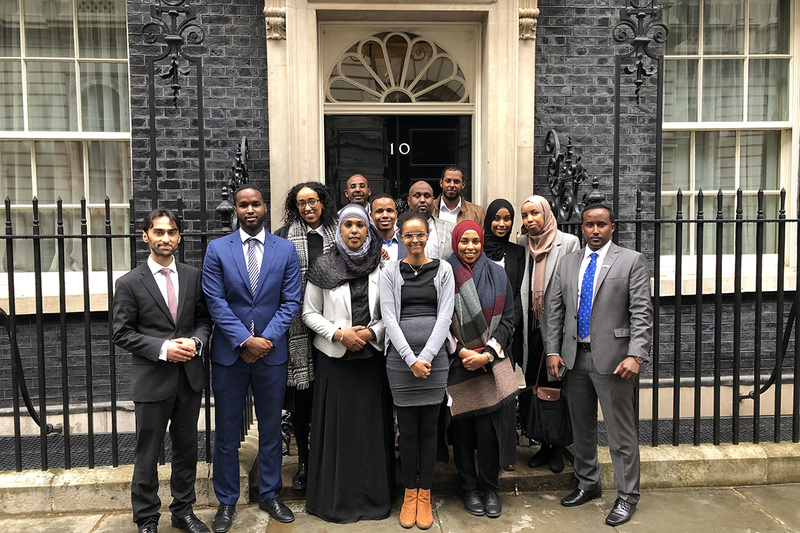 A source of inspiration and pride within the Somali community, by recognising Adam’s achievements, we hope to see many more hardworking Somali change-makers taking the steps to receive similar honours.